Katalyst started a decade ago with the intent of liberating women from low income communities, through the pursuit of professional education. The initiative definitively prepares young women for leadership roles, thereby creating a wider talent pool for India Inc and helping bridge the gender divide. Katalyst achieves this objective through a blend of unique development interventions, including our 600 hour proprietary and scientifically researched curriculum. Over their four years in the program, we also provide one-to-one mentorship, access to best in class technology, assistance with internships, and world class industry exposure and corporate interactions. 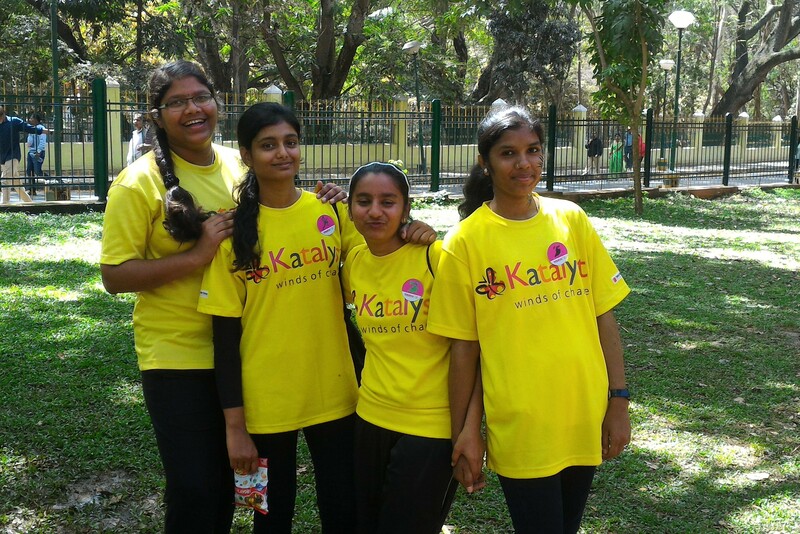 Set up in 2007 with 10 young women, Katalyst now has chapters in Mumbai, Pune, Bangalore and Delhi and has impacted the lives of over 900 girls, with 500 currently in the program. Katalyst alumni now occupy positions of seniority in prestigious MNCs and large Indian companies, both in India and abroad, as well as the Civil and Administrative Services. Investing in education is the most effective way of reducing poverty. And, investing in Secondary School Education yields high dividends. Women account for one-half of the potential talent base throughout the world and therefore, over time, a nation’s competitiveness depends significantly on whether and how it educates and utilizes its female talent. The educational achievements of women can have ripple effects within the family and across generations. Hence, we at Katalyst are focusing on girls’ education in tertiary sector. These “Katalysts” will then catalyze positive change and influence society creating a ripple effect and leading to economic and social empowerment. To enhance employability of the girl students thereby marking their foot prints in the managerial cadre of India Inc.
To encourage and empower talented girls to take on roles of leadership and innovation and participate in the process of community building. To increase the management bandwidth of corporate India through the talent pool thus created, giving India Inc. access to an untapped talent base. To raise their capacity to command a higher annual salary. Girl students pursuing professional degrees like Engineering, Architecture, Medicine and Chartered Accountants preferably from colleges of repute. Family income of less than Rs. 2 lakhs per year. The Programme supports the girl during their entire undergraduate studies. HCTS is registered u/s 80G of the Income Tax Act dated.02-06-2008 with perpetual validity. HCTS is registered under the Foreign Contributions (Regulation) Act FCRA 083780558 dated 11.01.2012 for the receipt of foreign donations.